Some people are simply obsessed about having a full tank of gas all the time. As soon as the needle hits 3/4 tank they're veering off the highway at record speed to get the tank back on full. Then there are others, and I'm guilty of this, who refuse to get gas until the needle is well south of empty. In fact, they'll even wait until the little red gas light comes on before refueling. The interesting thing to note though is that even when that little red gas light comes on there is still gas left in the tank. And although it's never a good thing to drive on E, sometimes it's necessary to push the evvelope a little. To a great extent, the little red gas light is a metaphor for life. Right? 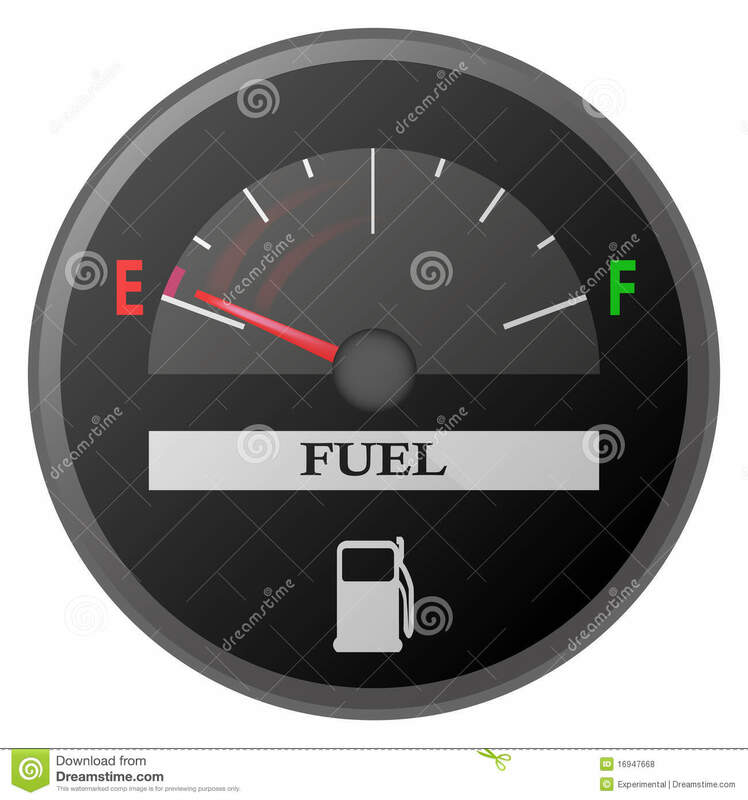 Sometimes you feel like your tank is on Empty; like you're about to run out of fuel. But just like you are able to push the car just a little bit further until you can refuel, you can push yourself just a little bit harder, just a little farther. When you do, you'll get a second wind. Your empty tank is just a sign that you've used up your current capacity; what was originally there. Go get refueled and continue your quest today.